The researchers at KCL and the ICR looked at patient sample data from three independent studies from Guy’s Hospital, The Cancer Genome Atlas, and METABRIC (a total of 2,255 breast cancer patients, of which 319 were of triple-negative breast cancer patients). This form of B-precursor acute lymphoblastic leukemia (B-ALL) features genetic changes to two transcription factors known as DUX4 and ERG, proteins that closely control the activities of other crucial genes in human blood cells. The findings are published online today in the journal Nature Genetics. This molecule, a type of RNA they nicknamed DINO, helps regulate a vital tumor suppressor protein called p53, which is inactivated in more than half of all cancers. Slade and his colleagues culled data from 68 studies on alcohol use among men and women across the globe. The studies spanned from 1948 to 2014, running up a sample size of more than 4 million people. Researchers believe the change is because drinks are cheaper, created for and marketed at women. The study found that at least 167,000 cancer deaths in 2014 — about 29 percent of all US cancer deaths — were attributable to smoking. Most of the 10 states with the highest rates of smoking-attributable cancer deaths were in the South, while most of the 10 states with the lowest rates were in the North or West. For the new study, the researchers estimated what proportion of cancer deaths in each state could be attributed to smoking by basing their calculations on past research showing a smoking-associated increased risk for 12 cancers. In February, the journal Vaccine temporarily removed the study without explanation, and told the authors the editor had asked for further review. Later that month, Vaccine retracted the paper, citing “serious concerns regarding the scientific soundness of the article,” and “seriously flawed” methodology. In July, another journal — Immunologic Research — republished the paper. The findings don’t prove the bacterium causes oesophageal cancer or poorer survival, but the researchers believe that testing for the DNA could be used to help predict patient outlook. The new data comes from a multicentre validation study comparing the company’s IntelliSite platform to traditional microscope methods in the diagnosis of cancer from surgical pathology tissue slides. A team of scientists from Baylor College of Medicine and the University of Texas MD Anderson Cancer Center analyzed vast amounts of molecular data from a set of more than 1,000 non-small cell lung cancers that allowed them to break down the cancers into distinct subtypes, each with its own molecular profile and potentially different response to therapy. A study conducted at the Research Institute of the McGill University Health Centre (RI-MUHC) suggests screening breast cancer patients for the prolactin receptor could improve the prognosis for patient and may help them avoid unnecessary and invasive treatments. In the new study, the researchers used a combination of four different therapies to activate both of the immune system’s two branches, producing a coordinated attack that led to the complete disappearance of large, aggressive tumors in mice. In the phase I trial, researchers collected the immune cells, called natural killer (NK) cells, from donors, manipulated them to be better cancer killers, and infused the cells into patients with AML who had previously exhausted all other treatment options. Despite folding its standalone cell therapy unit, the pharma giant says it remains on track to deliver an application for its CAR-T CTL-019 for pediatric acute lymphoblastic leukemia “in early 2017.” And an application for diffuse large B cell lymphoma is due in the second half of next year, which could put it well behind rival Kite Pharma. With the paclitaxel formulation nearing regulatory approval decisions on both sides of the Atlantic, Oasmia is stepping up its focus on its pipeline. The acquisition of KB9520 is one part of the strategy. CRS-207 is made up of reengineered Listeria monocytogenes — removing genes in order to disarm the bacteria — that express mesothelin, sparking an immune response to a protein concentrated on cancer cells. Workshop to be broadcast live on 28 October. The first-line thumbs up wasn’t the only good Keytruda news Merck got on Monday. The FDA also approved a label update for the med that included favorable data from the second-line setting, where Keytruda was running behind Opdivo thanks to a limited nod requiring PD-L1 testing. Roughly a quarter of all advanced NSCLC patients have cancer with high PD-L1 levels, according to earlier studies from Merck. That restriction is important. The new wave of cancer immunotherapies called checkpoint inhibitors, which include pembrolizumab, work well for a minority of patients, but doctors and researchers are only beginning to understand the signs that might point to a benefit for some patients but not others. 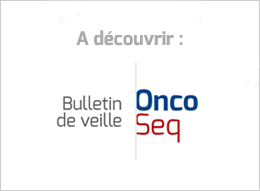 The approval was based on data from KEYNOTE-024, a randomized, open-label, phase 3 study evaluating KEYTRUDA monotherapy compared to standard of care (SOC) platinum-containing chemotherapy for the treatment of patients with both squamous (18%) and non-squamous (82%) metastatic NSCLC. That didn’t take long. Two weeks after Merck $MRK made a triumphant victory march against Bristol-Myers Squibb on the frontline non-small cell lung cancer front at ESMO, the FDA has followed up with a crucial approval for the early use of its checkpoint inhibitor Keytruda. Monday's announcement gives Merck the only approved first-line treatment for lung cancer, one of the biggest markets for cancer drugs. Rival Bristol-Myers Squibb Co's drug Opdivo failed a late-stage trial for the same indication. At the moment there isn’t much detail about how this money will be handed out. So we’ll be keeping a close eye on how this happens. But one thing is for sure, this is great news for patients. The upgrade of at least 100 linear accelerator (Linac) machines across the country will ensure more patients get state-of-the-art treatment called intensity-modulated radiotherapy, which can target the tumour very precisely without damaging surrounding healthy tissue. But who are these physicians? I looked throughout the website and couldn’t find them. I did Google searches and couldn’t find out who runs Hallwang. Even the quackiest of quack clinics and naturopaths identify who runs the clinic and post short bios. Did you know there is a black market for scientific papers? Unfortunately, there is a growing trend of authors purchasing a spot on the author list of papers-for-sale – and the better the journal, the higher the price.